As I write this, I am sitting in our garden in the shade of the lemon tree we planted in honor of my mother when she passed, to celebrate her life, which was all about bearing fruit. Sitting here, I feel a profound gratitude for the values she instilled in me and the inner resources she gave me that have shaped the way I live my life now. 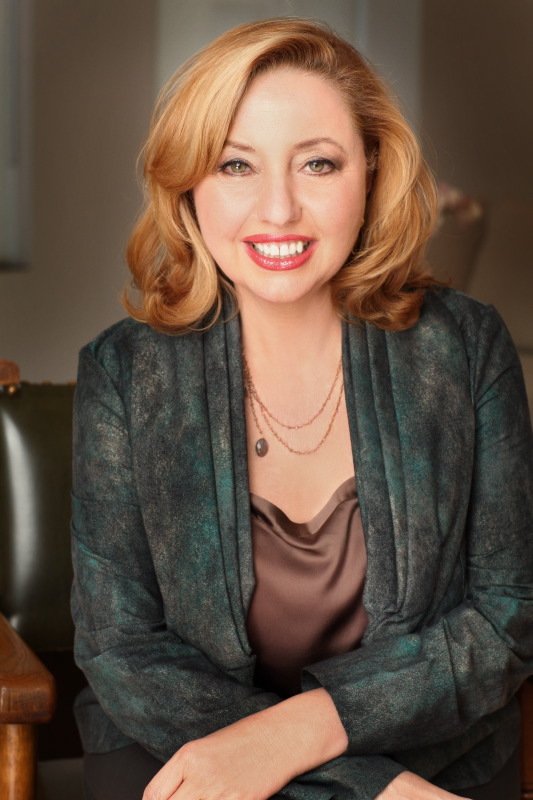 By giving me my name at birth—Agapi, which in Greek means “unconditional love”—she was laying the tracks that were mine to follow, the path of living with a loving, open heart. Her presence is palpable as I share my story with you. I write it out of a deep desire to share how I came to know the truth of my own heart and realize the fullness and freedom that were available beyond the barriers I placed around it. My mother and father’s relationship was both passionate and turbulent, with a current of love that ran very deep but couldn’t carry them through daily life. My parents’ lives, so intricately intertwined with mine, would ultimately help me understand what causes our hearts to close and how we can learn to open them again. And they would teach me that love doesn’t come with a fairy-tale ending of happily ever after. I grew up thinking I would become a dancer. In the free, non-linear expression of the art form, I found an outlet for all the things I felt but couldn’t say. There on the stage, I would find a place to express my heart’s tenderness, to go beyond the hurt and find my joy. When I was 14, I was chosen to dance the part of the narrator in a recital on the theme of “The Cosmos”; the other students were the planets, and my role was to tell their stories. That performance was the first time I felt the magic of captivating an audience. As the storyteller, I found that I could connect with them in a place where time was suspended and, for a moment, it was as if all of us were one. Storytelling, of course, was part of my Greek heritage. The Greeks—the ultimate storytellers—created their myths out of thin air. They saw the elements and primal forces at work in the world, and the emotions within us, and they made gods of them all. For centuries, the Greeks told those stories to make sense of the world. And after my first experience as a storyteller, I was hooked. Even my dance teacher encouraged me to pursue acting. A few years later I went to London to study drama. There, I seemed to unleash a talent for the art that was rooted in my very cells. However, my natural Greek openness had to make some adjustments to adapt in a culture where people contained themselves for politeness’ sake, and I channeled my expression into acting. On the stage, as I delved deep into the hearts of the characters I played, my own emotional life seemed to flourish. I was finding my bearings, and the acknowledgment I received from my teachers and directors was extremely gratifying. Soon after, I was asked to come to America to make a movie, and I thought I was on my way to becoming a star. Little did I know that my adventure in America would lead not to stardom, but to a soul journey in which I would peel away the layers and come to know my self. Little by little, I would lay a foundation on which I could build my own character and find expression in ways more true to who I was. I would discover the tremendous value in being open with myself, with others, and with life, as all sorts of new opportunities—for creativity, work, growth, relationships—began to appear. I would learn the joy of letting my love out unbound, with no expectation of the outcome, but simply because that was the most liberating course of action. The irony was that most of my transformation came when things didn’t work out and I didn’t get what I thought I wanted. I found out that there are no happy endings, because there are no endings, but continuous, endless beginnings—opportunities to go deeper into ourselves to discover the miraculous truth of who we are. There are no seven or eight simple steps to unbind our hearts, but there is one choice that we all have, and this is our golden opportunity in every moment of every day, whatever small or big challenges it brings: Do I shut down or do I choose to open up one more time, even deeper? 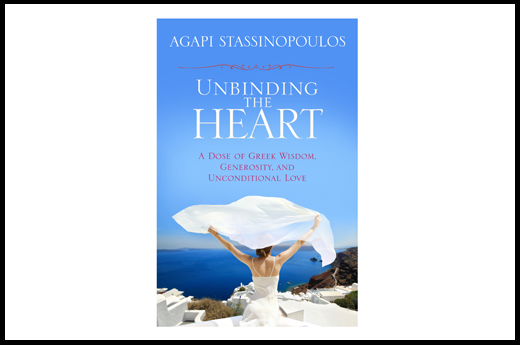 In my book, Unbinding the Heart, I share with you some of the experiences that led me to that knowledge. I’m sharing my stories in the greatest hope that I can help a few other hearts loosen the knots that bind them. When I awakened to that knowledge, my work found me. One of the ways it came was in the form of stories—the stories of the Greek goddesses. As if a dam had burst, I poured my creativity into writing, performing, and teaching about the goddesses and the archetypes they embodied. I took them all over the world, and that is when I experienced the real power of stories to help us all awaken. But most of all, I experienced people’s hearts. I saw how everyone, every single person, has a story that holds the truth of their heart, and those stories need to be heard. We need to tell our stories, as much as we need to listen to others’. And that is how our hearts unbind—with the simple message, You matter. My heart hears yours. In pink, graceful look and feel, the headset is also more detailed body work, body material use, design; structural design is very monster beats prodetailed, very suitable for young family of aesthetic and performance requirements.